Emulating wood, a fresh model with reliefs that stand out portraying a three-dimensional look. Recreating stone, in a rustic and natural style, ideal for outdoor both for flooring and cladding, a design that confers robustness and strength. Its metallic tones stand out for their strong character and shine, lustre, as well as its compositions with volumes that create reliefs and shadows, conferring energy to the pieces. Square shaped, it stands out for the subtle movement with the inclination of its pieces, enhancing the metallic tones and bringing vitality to the tile. 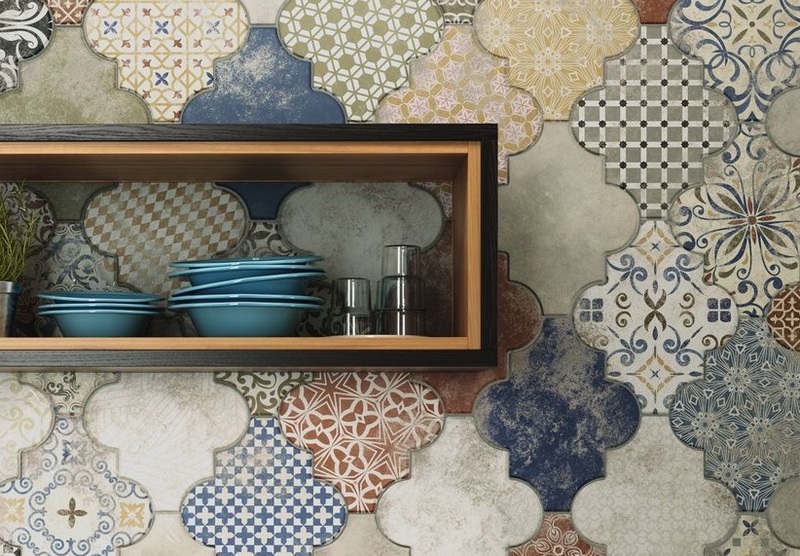 Together with Lisbon and Sintra, it makes an enjoyable and unique series that recreates old hydraulic tiles in small format with strength and sobriety, standing out for the designs of flowers and different curved shapes that encourage the composition and creation of unique and lively spaces. The history of Realonda goes back more than 80 years. Known as “El Tercio”, it started a first cycle that began in 1920 and lasted until 1936. The second stage began in 1952 under its current name, Realonda, SA. Throughout this period, the factory has continuously adapted to technological changes to offer its customers a top-quality product and a dedicated service to meet your expectations. Our commitment to technological innovation has given rise to product lines that position and differentiate us amongst the companies with the greatest projection in the sector. Our design team is devoted to search and adaptation of new trends to reach an increasingly demanding and changing market, with new, different and exclusive proposals that enhance our brand value. We have developed a new type of ceramic products that incorporates an innovative decoration process through ink injection which enables maximum creativity and the customization of ceramic designs without technical limitations. A technological innovation that opens up endless possibilities for decoration and multiplies the versatility and uses of ceramic collections. This new technology allows for printing on all ceramic surfaces. Not only does it print up to the very edges, but it does so with maximum realism in both low and high relief. With this revolutionary ceramic printing technique, limitations in decoration completely vanish, multiplying the possibilities for creation. The resolution obtained is much higher than that achieved with other traditional methods, which endows ceramic collections with a realism and definition unattainable until now. More than 60 years endeavouring to make our technological innovation and our avant-garde designs available to our customers so that you set the limits to your creativity. The commitment of all the team that makes up Realonda is aimed at depicting nature’s beauty in all its glory in dazzling avant-garde ceramic designs, both from the aesthetic and functional points of view. Bold and edgy designs adapted to the latest aesthetic trends, but conceptually timeless. A mixture of textures, colours, volumes and shapes that contribute to creating special and cosy atmospheres. Discover our volumetric ceramic collections with metallic effects that are already setting a trend in interior design. Our constant experimentation in new technologies of advanced printing allows us to recreate nature in ceramic tapestries with breathtaking realism. Do not miss our new ceramic collections. Our vocation for innovation has led us to experiment with all kinds of volumes, shapes and reliefs to achieve avant-garde designs that endow those spaces they cover with personality. Our team of designers is constantly searching and investigating in order to portray the latest aesthetic trends in new ceramic concepts that continue surprising an increasingly demanding market in terms of design and quality. 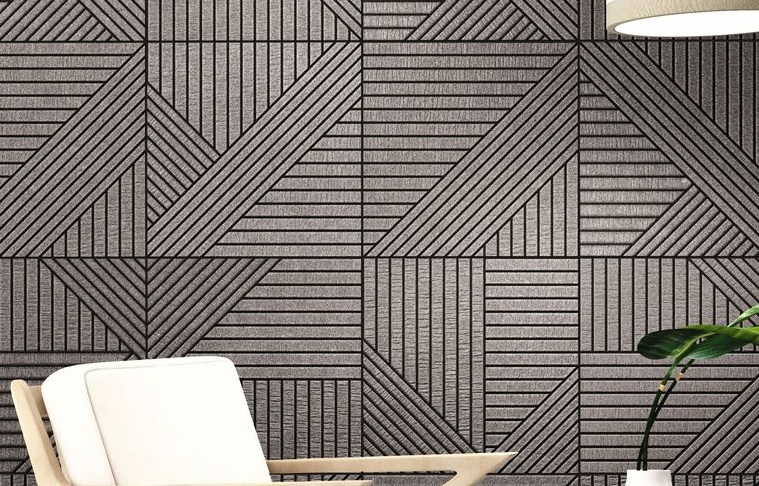 We are in love with geometric patterns and with the endless decoration options they offer. Hence our firm commitment to three-dimensional products with breakthrough designs. 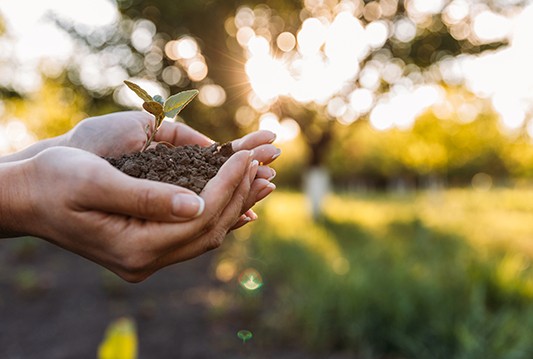 Mother nature is always the mirror on which we base our inspiration when it comes to creating ceramic collections that help us maintain ties with our origins. That is why we will not cease in our experimentation with new materials, textures, volumes and shapes. Inside our catalogue of porcelain products, you will find a wide range of modular collections that do not only include various formats, but are also available in different colours, styles and finishes. 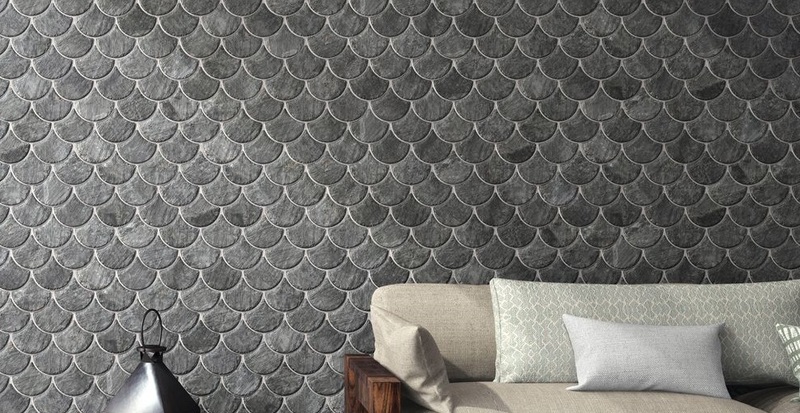 Collections such as Antigua, Quartz, Borgogna Stone, Houston, Dust, Corten or Slate have been created to cover all the needs related to modularity in floor and wall coverings. Our more than sixty years’ experience in the manufacture of ceramic products can be seen in many of our designs and collections, especially those that remind us of a lifetime ceramics. There are many aspects for which the Diamond collection is special for the senses. And that is so because it does not only cover a wide variety of styles (cement, textile, wood, marble, stone, metal), but offers endless possibilities of geometric combinations. Diamond is a 100% functional and versatile collection that meets all the necessary requirements to cover all technical and aesthetic needs in public and private construction. The essence of matter, with all the advantages of porcelain stoneware. Discover the latest news and trends related to the ceramic sector: construction, architecture, interior design, international fairs, international trade and, of course, ceramics.